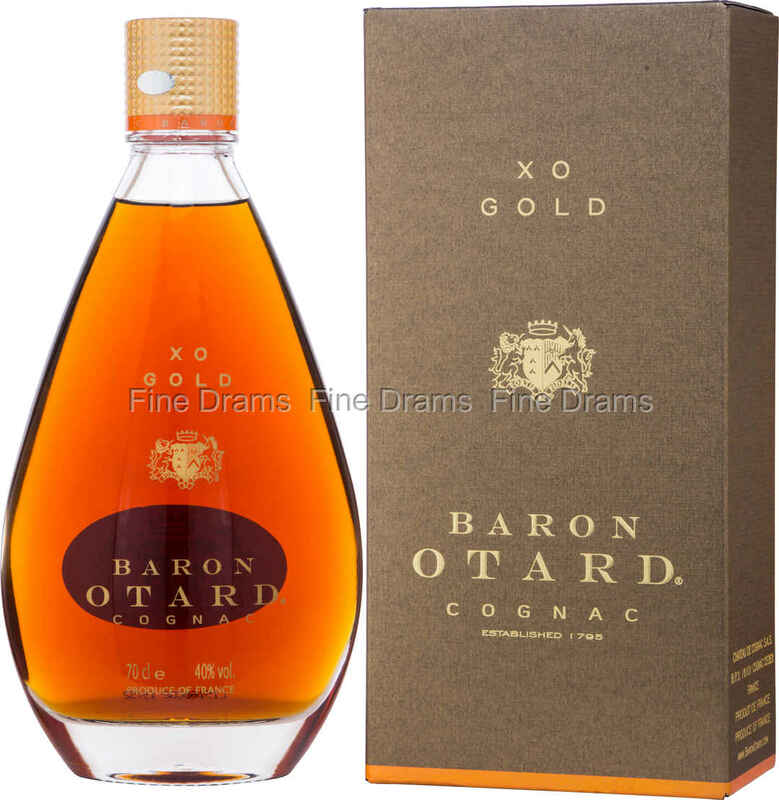 Baron Otard are a very interesting Cognac house, with a family history that dates back to the middle ages, and the invasion of France by the Vikings. This XO Gold Cognac is one of oldest in the Maison’s repertoire, and is a mix of well-aged eaux-de-vie from Borderies, Grande Champagne and Fins Bois. The considerable maturity and blend of different cru’s spirit creates a Cognac of outstanding balance, with notes of oak, almond, rich wine, leather and dried flowers. The spirit is bottled in a charming, sophisticated decanter style bottle with a striking gold closure – illustrating how the Cognac House has combined modern and ancient tradition.